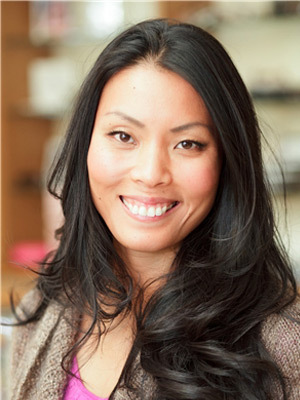 Dr. Tongsri is a licensed Doctor of Optometry in New York State and holds NY State Certification for Therapeutic Pharmaceutical Agents (phase 1 and 2), certification of Treatment and Management of Ocular Disease of National Board of Examiners in Optometry (Part 2 and Part 3) and certification from the National Board of Examiners in Optometry (Part 1). She received her Doctor of Optometry degree from SUNY College of Optometry, and her Bachelor of Arts in Biology from the University of Virginia. Prior to joining Flatbush Optical, Dr. Tongsri spent four years diagnosing, treating and managing a wide variety of ocular diseases at health clinics and private vision centers throughout New York City. She also completed internships at the Brooklyn Veterans Affairs Medical, Aran Eye Associates in Miami and at SUNY College of Optometry. As a doctor for Flatbush Optical, Dr. Tongsri specializes in the treatment of ocular allergies, emergency eye care, and dry eyes. She also treats and manages glaucoma patients, and co-manages treatment of retinal pathologies, cataracts, and LASIK with local ophthalmologists. Dr. Tongsri has a broad knowledge of vision issues, such as computer vision syndrome and all types of contact lens. Dr. Tongsri is a member of the American Optometric Association and the New York State Optometric Association. She is fluent in Thai, and has a workable knowledge of Spanish. Dr. Hossain is a licensed Doctor of Optometry in New York State and holds NY State Certification for Therapeutic Pharmaceutical Agents (phase 1 and 2), certification of Treatment and Management of Ocular Disease of National Board of Examiners in Optometry and certification from the National Board of Examiners in Optometry. She received her Doctor of Optometry degree from SUNY College of Optometry, and her Bachelor of Arts in Psychology from New York University. 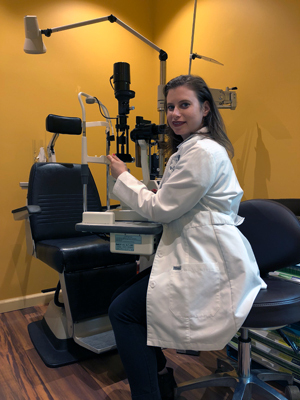 She completed her ocular disease internship at Woodhull Medical Center, vision therapy training at Ezra medical center and specialty contact lens internship at SUNY College of Optometry. 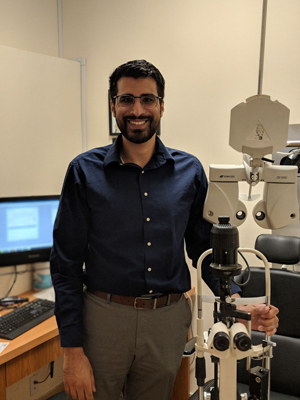 As a doctor for Flatbush Optical, Dr. Hossain specializes in the treatment of ocular allergies, dry eyes, and conjunctivitis. She also treats and manages glaucoma patients, and co-manages treatment of cataracts and retinal problems related to diabetes and hypertension. Dr. Hossain is a member of the American Optometric Association and the New York State Optometric Association. In addition to english, she is also fluent in Bengali, moderately fluent in Spanish and Sign language, and can conduct eye exams in Russian. Dr. Neil Satjia was born and raised in Yuba City, California and attended the University of California, Davis for his undergraduate degree in Neurobiology, Physiology, and Behavior. Dr. Satija received his Doctor of Optometry degree in 2011 at the Southern California College of Optometry. Dr. Satija has clinical experience from Indian Health Services hospitals SEARHC in Sitka, Alaska and Dzilth-Na-O-Dilth-Hle Health Center in Bloomfield, NM. Dr. Satija moved to New York City in 2012 and has been practicing in Brooklyn, NY at Flatbush Optical. Dr. Satija has been involved in various studies throughout his optometric training including studies on dry eye and retinal aging. Dr. Satija is a member of the American Optometric Association and California Optometric Association. Dr. Satija has interests in Basketball, Hiking and Travel. Dr. Jennifer Diamond was born and raised on Long Island, NY prior to moving to Manhattan where she currently resides. She received her Bachelor's of Science in Molecular Neuroscience at Binghamton University in 2011 and her Doctorate of Optometry at Pennsylvania College of Optometry at Salus University in 2015. While in school she was the founder and President of the Binghamton University Pre-Optometry club and founder and Vice President of the College of Vision Development chapter at Pennsylvania College of Optometry. Additionally, she wrote for the website OptometryStudents.com and volunteered at vision screenings with the Special Olympics of New Jersey. Dr.Diamond completed her clinical rotations specializing in pediatric and binocular vision disorders at Boas Vision Associates in Exton, PA: Vision Specialists of Central Florida in Longwood, FL and The Eye Institute at Salus University. Additionally, she has hospital experience working at the Veterans Affairs Hospital of Northport, NY And The Albert Einstein Hospital in Philadelphia, PA.
Dr. Diamond is medically certified and treats all ocular diseases including glaucoma, cataracts, diabetes, conjunctivitis and dry eyes. In her spare time, Dr. Diamond enjoys running half marathons, rock climbing and cheering on the New York Mets and the San Francisco 49ers.